Supporters of the Islamic State group (ISIS) are celebrating an explosion at an Ariana Grande concert in Manchester, UK that has killed at least 19 people and left another 50 injured. 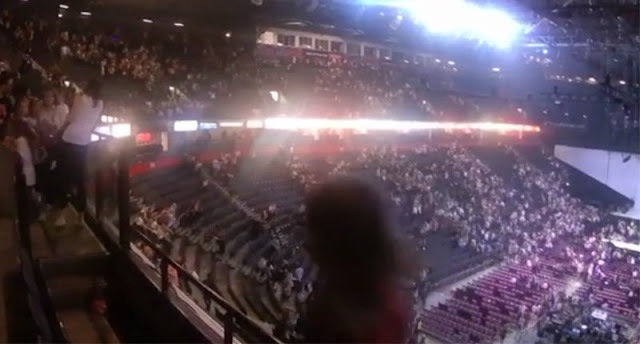 Social media accounts linked to ISIS supporters were posting messages supporting the deadly incident Monday night at the sold-out 21,000-capacity Manchester Arena. The group has has not claimed of responsibility for the explosion, nor have any others, but police said they were investigating the incident as a terrorist attack. One pro-ISIS post, highlighted by co-founder of private intelligence firm Search International Terrorist Entities Intelligence Group (SITE) Rita Katz, said “Kill him everywhere, Britain and England and Manchester and UK and Britain.” Other accounts were linking to the first statement about the attacks by Greater Manchester Police. Pro-ISIS users called the incident a “successful and surprising blow” to Britain. It was framed as retaliation for airstrikes which Britain has been carrying out on ISIS targets in Iraq and Syria. Michael S. Smith II, a United States based terrorism analyst, linked to further posts celebrating the attack on ISIS-linked Telegram channels. He said such response online was a “strong indicator” the attack was linked to the group. There were similar posts from ISIS supporters online following an attack near parliament in London’s Westminster in March (the group later claimed responsibility for it). The source of Monday's explosion was reportedly a nail bomb, the same type of device ISIS used in an attack in Brussels in March 2016.